You could be suffering from a herniated disc if you have a pain or numbness in the neck, arm, lower back, or leg. Our pain management doctors use minimally invasive, innovative procedures to accurately diagnose the root cause of the pain. The doctor will suggest a procedure to alleviate the excruciating pain caused by your herniated disc. In addition to the severe chronic pain from a herniated disc, your lifestyle, activity level, and mood can be greatly affected by herniated discs. 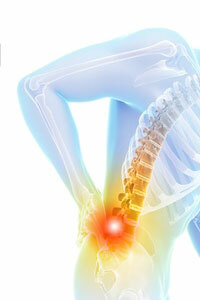 Sciatica, cervical and lumbar herniated disc are other pain conditions related to a herniated disc. The spine consists of twenty-four bones called vertebrae. The strong small discs located in between each vertebra are called inter-vertebral discs. They are made up with a softer center that is encased by a tough exterior. They are intended to be pliable and act as a shock absorber to allow the absorption of shocks due to bending, twisting, and sudden jarring. When the softer content of the center disc is forced through the tough exterior outer disc wall, a herniated disc occurs. The pushing on and irritating of the spinal cord, disc wall, or nearby nerves that causes pain, numbness, and weakness as a result, in the arms or legs. Contact the Pain Management Center today to learn about your immediate relief options. What are the Specific Symptoms of a Herniated Disc? While the symptoms may vary, usually a herniated disc is identified by inflamed and irritated nerves surrounding the affected area with pain and weakness. This may include numbness, tingling, spasms, chronic pain, muscular weakness in the legs and arms, and difficulty in walking. Depending on the location, herniated discs may come with immediate severe pain or little to no symptoms initially. Mainly, the site of such injured discs are located in the lower back and lumbar spine area, but also may be found in the cervical spine and neck areas. Usually patients have undefined pain located in the back, thighs, knees, or feet and generally, only one side of the body is affected. What are Specific Treatment Options Available for Herniated Discs? Our approach to treatment and therapy is to first determine the root cause of pain and discomfort and then to recommend a strategy that will bring aim healing and well-rounded health and quality of life for our valued patients. The holistic alternative treatments utilized are without the risks of invasive surgeries and the associated possible injections, bleeding, and medications found typically in musculoskeletal surgical procedures. Additionally, minimally-invasive treatments usually provide a shorter recovery period and allow our patients to return to their normal lives quickly. Contact us by phone or email today to discuss the non-surgical treatment option that is best suited for your condition.